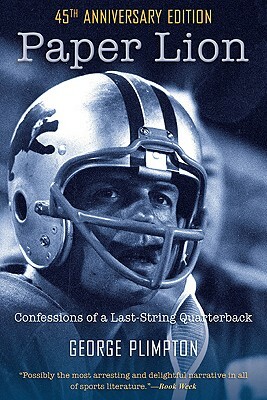 With his characteristic insight and wit, the Harvard-educated Plimpton recounts his experiences in successfully talking his way into training camp - not as a reporter but as a player - with the Detroit Lions, practicing with the team, and actually taking snaps behind center in a preseason game. George Plimpton (1927 - 2003) was the best-selling author and editor of nearly thirty books, as well as the cofounder, publisher, and editor of the "Paris Review." He wrote regularly for such magazines as" Sports""Illustrated" and "Esquire," and he also appeared numerous times in films and on television.